To most of us, March signals the beginning of spring. 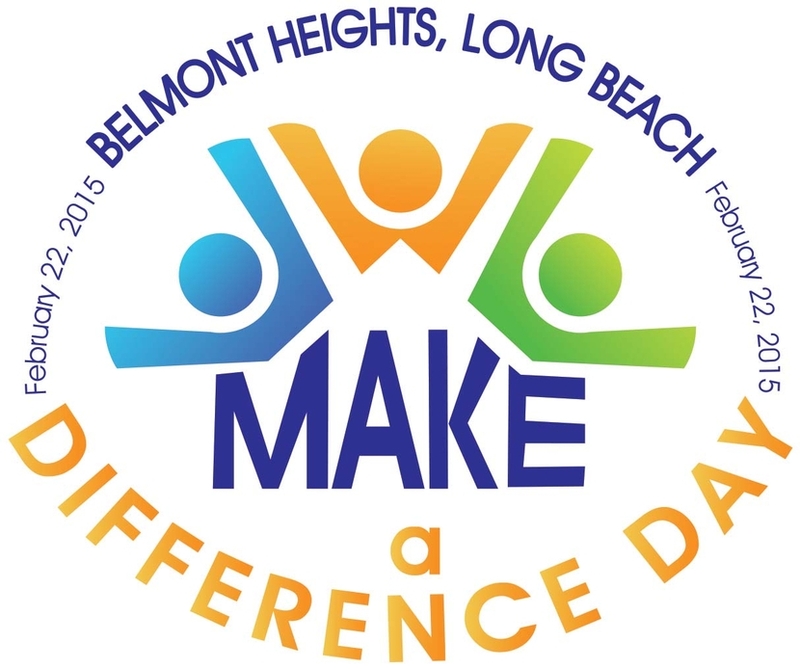 In Belmont Heights, March means another new start—Belmont Heights Make a Difference Day (BHMADD). It’s a day for “giving back” to the community, and an opportunity to participate in a range of projects, from preparing 350 meals for the homeless to planting 20 trees in the community, to assembling more than 1000 emergency hygiene kits for students and adults in need. For the last several years, BHMADD has attracted the attention of Belmont Heights’ residents of all ages. Inspired by Temple Israel’s long-running Mitzvah day (“good deed day”), the Belmont Heights Community Association (BHCA) and the Belmont Heights United Methodist Church (BHUMC) joined as co- sponsors in 2015. 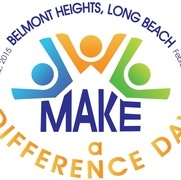 That year, 225 Belmont Heights residents participated in the newly renamed Belmont Heights Make a Difference Day, creating an event that was both interfaith and intercommunity. In 2016, after attending with her children, 3rd District Councilwoman Suzie Price became a co-sponsor to the growing event. Emmanuel Presbyterian Church & Food Bank joined as a co-sponsor this year. On Sunday, March 27, 2017, 350+ volunteers gathered for a pizza lunch at Temple Israel while the folk bluegrass group Second Wind kicked off the “Day of Good Deeds.” Participants then fanned out into the community to create 24 projects in the Belmont Heights area and beyond. “There are lots of grassroots projects going on in Long Beach, but very little coordination,” says Andrea Friedenthal. She and Ben Camp, Director of Community Ministries at BHUMC, spearhead the day’s organizing committee. The committee includes BHMADD representatives Marc Davidson, BHCA; Antonella Schaub, Suzie Price’s 3rd District Office; and Pam Villano, Emmanuel Presbyterian Church. Andrea became the first volunteer when she responded to Rabbi Moskowitz’s desire to find a way to give back to the immediate community. A lifelong community organizer and volunteer, she knew of many organizations that needed help. Nine months of planning precede BHMADD. Andrea typically identifies the projects in the community. Ben handles the digital side—the website, Facebook page and online registration system—as well as project leader training and orientation. “We’re very intent on serving a broad spectrum of Long Beach’s diverse community.” Ben says. There were projects that targeted Belmont Heights, like one that renovated the Special Needs Garden at Wilson High School, and another where kids baked “Thank You” cookies for local firefighters and police. There were also projects that served the wider community. Some of these benefitted children; for example, participants filled 300 backpacks for School on Wheels, which tutors homeless children. Another involved collecting 20 carts of groceries that went to the CSULB Beach Student Pantry and Emmanuel Food Bank. A group of volunteers assembled hygiene kits; these were given to the Aids Food Store in addition to food and blankets. Participants were excited to take part in the event.